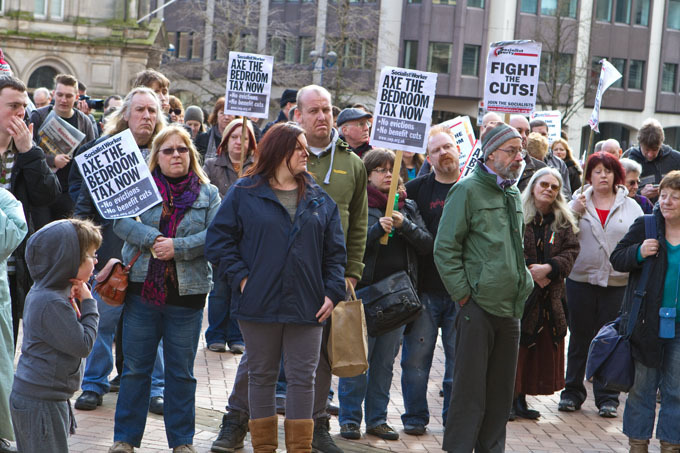 Demonstrations have been organised around the country today against the so-called “Bedroom Tax”. Many of these have been organised by local Labour Party groups, mostly those saturated by Trotskyist entryists and such like. 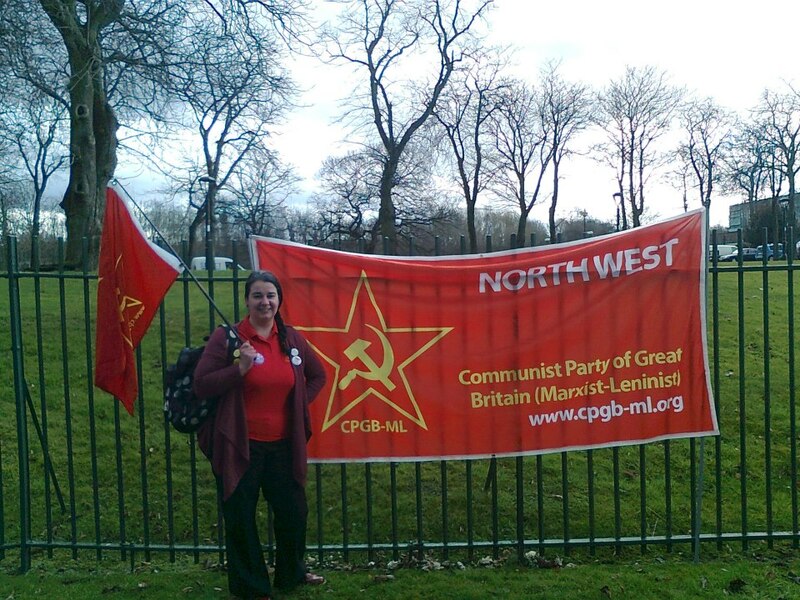 CPGB-ML members around the country went along to some of these demonstrations and tried to impart a proletarian perspective. Out on the eastern front! 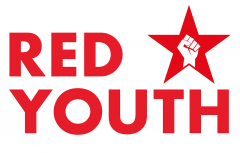 Red Youth against the cuts and social democracy! For some time commentators, social policy groups and charities have been watching to see the exact nature of the reforms which the Tory government will be making to the benefits system. Despite the detail which is laid out in the Wefare Reform Act there remains widespread confusion and uncertainty. Citizens Advice Bureau and other such groups have released a number of bulletins, but with legal challenges ongoing and much smoke and mirrors around the whole debacle it remains to be seen precisely what the situation will be; all that is certain is that working people are under a heavy assault, not merely on the unemployed, but on the many hundreds of thousands in receipt of housing benefit, the many millions who are disabled or look after sick relatives, the young and the old – it is an attack right across the board. An extensive overhaul of the existing system will see changes to almost every aspect of existing arrangements. The slash will see a whole host of means tested benefits eventually abolished, and an entirely new system of ‘universal credit’ put in its place. Rather than making things ‘simpler’ and ‘fairer’ the new scheme should see the universal impoverishment of many hundreds of thousands, if not millions of working class people. ‘Universal Credit’ will replace nearly all means-tested benefits such as Jobseekers Allowance (JSA), income-related employment and Support Allowance, tax credits (inc. Child Tax Credit) and Housing Benefit. All these are claimed to varying degrees by millions of working and unemployed individuals, families and young people right across the country. There will be a cap on the total amount of benefit an individual or couple can receive, a cut to Housing Benefit and the introduction of the now infamous ‘bedroom tax’, abolition of Council Tax Benefit and the replacement of Disability Living Allowance (DLA) by PIP (personal Independence Payment). Universal Credit will begin being phased in from April, with national take-up by October, and so as to avoid the absolute clog up and collapse of the entire system (which may happen anyway!) individuals will be transferred across over the next couple of years, easing the congestion in the system and hopefully (for the bourgeoisie) managing and dissipating the combined collective anger of millions. Those individuals currently in Council Housing or Housing Association properties which are deemed to have a ‘spare bedroom’ will be forced to pay an ‘under-occupation penalty’. This ‘penalty’ will cost varying amounts but generally it will be between £11 – 20 a week for each bedroom which is ‘unused’. Lord Freud, the welfare minister (and former investment banker) believes spare bedrooms are a “luxury the country can no longer afford” and plans to push through this policy which will directly impact upon 670,000 working class tenants across the country. Of course, Freud (who incidentally was appointed by Blair to look into benefit reform in 2006) and his mob have undertaken endless ‘impact assessment studies’ and the like all of which have failed to address the fact that for thousands of people these ‘spare’ rooms are actually used by carers for the disabled, have become vacant after the death of a family member or just merely be the result of youngsters who’ve left for university and so on. Whilst Freud and his ilk can reside in country mansions, own countless acreage of unused land, have palatial townhouses in London (and many of them claim the expense from the public purse! ), in the twisted logic of the bourgeoisie, working class people must not be allowed an unoccupied cupboard room. And if the truth is known Lord Freud and Co. would be much happier to see the poor stripped of a home and thrown into a workhouse – just like they were in great grandpa Freud’s day. “Forbes and 60 of his staff visited tenants in early December to talk to them about the changes, and how they intended to cope. The staff were disturbed by what they found…. Common themes emerge through the various accounts: the huge degree to which families are dependent on spare rooms to accommodate carers, or to support relatives affected by family breakdown; the commonplace acceptance by families that to cope with the shortfall they will have to go without meals; distress that they may have to leave the homes they have lived in for years (in some cases having invested thousands of pounds in them, on decoration or disability adaptations; and anxiety that they will be cut adrift from long established friends and family networks. These are precisely the human scale consequences that aren’t directly acknowledged in the government’s official impact assessment of the bedroom tax. He currently lives at the property with one daughter who is hoping to go to university next year. So where he currently under-occupies the property to the tune of one bedroom this is likely to increase later next year. His daughter is worried about him and her decision (whether she even goes on to higher education) is going to be heavily influenced by the effects of the changes to dad’s benefit. His depression is not seen as a disability sufficient to prevent him seeking work so his benefit was cut recently. We talked about how he could manage the additional cost following a cut in his housing benefit, short of stopping eating and heating the home he was unable to identify any other savings. He was resigned to having to move to a smaller property but did not want to do it. The current home is the one he raised his children in, the one his wife shared with him until she died. He was proud of the home and the time, effort and money he had clearly put into it. Leaving that to start again was a thought that (I observed) made him so very anxious and visibly shaken. When I went door knocking I met a lady who is blind and lives in a two-bedroom property. She will get a cut in benefit due to the ‘bedroom tax’. She has lived in her home around 20 years and it has been adapted for her needs. Her neighbour acts as a carer for her too. If she is forced to move because she can’t afford to stay she will have to leave the community she loves because there are no one -bedroom properties in her area. If she moves away she will leave an area she is able to safely travel around because she knows it so well. I met a couple and their pregnant daughter. During our discussion they understood that they had one spare bedroom at the moment and would be hit by the ‘bedroom tax’. What I found really upsetting was that they had already worked out the only possible solution for them was if they each had two meals less a week they would be able to make up the shortfall! He said this very matter of fact. They do not drink or smoke and this was the only area they could economise on. A pregnant girl having to go without food! I also met another gentleman who said the same – the only area to economise was food! “We have, through our welfare system, created a system which has made them reluctant to take risks so we need to turn that on its head and make the system predictable so that people will take those risks. “A husband and full-time carer fears he may have to cut back on essentials as he fights a benefits system which thinks he has a spare bedroom. After her second haemorrhage in 2006 Tony Sharman, 61, was given the option of quitting his refuse collection job to look after Anne, or put his wife into a care home. Mr Sharman chose to look after his wife himself and the main bedroom in the two bedroom bungalow is now filled with a specialist equipment including oxygen cylinders and a lifting harness. He now sleeps in the room next door and listens for night time calls for help from his wife via a baby monitor. However when the Welfare Reform Act comes into force in April Mr Sharman’s bedroom will be deemed a second bedroom and the couple will lose £60 a month in benefits. “A flagship Tory council is planning to move dozens of families out of London to help ease pressure on its housing waiting list. Kensington and Chelsea is in talks with towns including Peterborough about buying land to build homes for the London borough’s residents. The council, which has 8,500 people on its waiting list, is likely to face more pressure after the introduction of the Government’s housing benefits cap this year. It estimates 550 families, about 300 of whom are in temporary accommodation, will be affected by the changes. Other councils across the capital are also struggling to cope. Labour-run Camden council has 761 families who will be affected by the cap and many will be moved as far afield as Bradford, Birmingham and Leicester. A Kensington council spokesman said: “In common with all inner-London local authorities, we are struggling to cope with a chronic shortage of affordable homes, particularly for ambitious young people in the early stages of their careers and young families who find progress impossible because of property prices in the capital. “We have been talking to a number of authorities — including Peterborough — about the prospects for a  mutually beneficial housing arrangement but none of these have so far gone beyond the exploratory stage.” Council insiders suggested a deal could see Kensington, the country’s second wealthiest borough, investing £50 million in housing in the Cambridgeshire town. “As far as the traditional working class is concerned, particularly in London, very few, apart from the old, the almost old and the downright unlucky, live ‘on the council’ any more – partly because the better-paid council house dwellers took advantage of the ‘right to buy’ when Thatcher gave them the chance; and partly because the allocation policies pursued by all councils in the last twenty years have only given out council housing to the socially marginalised…. … In the last eighteen months [ed. Original piece written Dec 2006], house prices have shot up so much that a working-class couple now typically has to spend 50-60 percent of their joint income on either their mortgage (if the flat or house is outside London) or (if it is in London) on one of the government’s complicated new part buy/part rent schemes designed to ‘squeeze the poor till the pips squeak’…. …Along with the free movement of capital comes the free movement of capitalists. London is now swarming with the mega-mega wealthy who want an address in Britain. Under the present tax regime, a foreign mega-rich man who only lives six months of the year in England pays no British tax, and if, instead of going ‘home’ (wherever that is) for the other six months of the year, he wanders about the world’s playgrounds, he can avoid paying much in the way of tax anywhere else too. These cash buyers are not to be found among the thousands of poor immigrants coming into Britain, but the enormous number of foreign crooks. London is a magnet for all the mafiosi of the world; and they do not come for the museums and the debates at Gresham College, but because the tax regime in Britain is perhaps the most attractive for the filthy rich…. One of the single biggest changes which will be introduced with all the others will be the cap on total benefits which may be received by an individual or couple. Caps to overall benefits will be introduced across London boroughs in April, with national take-up by September 2013. A total cap for a single person will be set at £350 a week and couples and single-parents £500 regardless of the children. Housing Benefit cuts and new local authority administered systems of Council Tax Benefit (to replace the national Council Tax Benefit) will come in from April – with many thousands already receiving letters from large authorities like Birmingham whose Labour administration has chosen to make the unemployed pay up to 20% of their Council Tax despite the fact they may be unemployed, sick etc. The caps are going to include all cash benefits but will not include things such as school meals. In-work and return-to-work credits will not be affected, but these are payments which don’t last forever, and in reality are bribes to get people back into work which does not pay enough in the long run to be sustainable. The precise effects of these caps are for the moment unknown, and it will take a period of change and a number of appeal proceedings to establish the boundaries, but even the most apolitical commentators seem to agree that that the future is extremely bleak, that most people will be worse off than ever before and that the financial burden of having children could become unbearable for most. As for PIP (personal Independence Payment), schemes will run from April but most take-up will be from June 2013 with all new claims being for PIP and not DLA. All the new claims will now be paid monthly, and the claimant will be expected to manage his or her account ‘online’, arranging for rent payments etc. We are told that this is certainly not being done to make life awkward for new claimants (! ), those with eye impairments and other disabilities, nor to make it near impossible for people of a certain age with few computer skills to receive benefits. Of course whilst all of this takes place people will be left penniless, unable to pay bills, driven into the arms of the loan sharks and credit agencies which are now populating our high streets at an alarming rate, offering loans with APR’s of up to 4,000% alongside all manner of other legal theft which will leave people ruined, financially, psychologically and will no doubt drive many to suicide, self-harm and despair. Ostensibly the ‘universal’ nature of the new system will ‘streamline’ and ‘simplify’ a messy benefits structure; the reality is that the new system aims to heap the crisis of capitalism firmly upon the backs of the working classes. Its scale is striking testament to the free hand and sheer audacity which the ruling classes feel they have over the majority of British society. It is at both a sign of their contempt at a pitifully weak and poorly organised working class and a declaration of their total desperation and anxiety as to what to do to extricate themselves from a systemic crisis from which they can see no escape. In a society where the fighting spirit of the working class has been continually sapped and drained by labour leaders wedded to social democracy and a ‘take-it-cause-it-could-be-worse’ attitude from Labour Party apologists for 13 years, it is unsurprising that there has been little if any concerted action taken by working people and the unemployed to stop the onslaught which set in some time ago. What is perhaps remarkable about the latest changes is the scale and brass face of those pushing through the changes. “…there were two people involved in bringing this case to the Court of Appeal – Cait Reilly, and Jamieson Wilson. Jamieson Wilson, 40, was sanctioned, losing his jobseekers’ allowance for six months after refusing to participate in a scheme requiring him to work 30 hours a week for six months unpaid. The judgement is something of a victory for those who believe that people should be paid for the work they do, no doubt. However, as Barrister Adam Wagner has pointed out on twitter, the judgement was given on a technicality rather than because the three judges think it’s inherently wrong to force someone to work for nothing. The statement from the lawyers involved explains that actually, the judges found that the Secretary of State had “acted beyond the powers given to him by Parliament by failing to provide any detail” about the schemes. The government was found to have “bypassed Parliament by introducing the Back to Work schemes administratively under an “umbrella” scheme known as the Employment, Skills and Enterprise Scheme, claiming the need for “flexibility’”. The response of the ruling class when confronted by the unhelpful decisions of their own courts is merely to change the laws and regulations to suit – which, incidentally, is precisely what is being planned. The repeated mantra of the Coalition Government is that the new system “will make work pay”. They fail of course to highlight that at best estimates there are at any time merely 500,000 job vacancies for the 2.5 million officially classed as unemployed. In a recent interview with James O’Brien on LBC 93.7fm Iain Duncan-Smith the cretinous Work and Pensions Secretary got himself into an argument over the above named case. In so doing he failed to untie himself from his legally and factually incorrect statement to the effect that voluntary (read: coerced and soon-to-be forced) labour provided by jobless people for the likes of Poundland is actually paid labour! Duncan-Smith asked “What do you think we’re paying them benefits for”(!) despite clear precedents in law and statements made by the Department of Work and Pensions itself that Jobseekers Allowance is not a payment for work or labour! 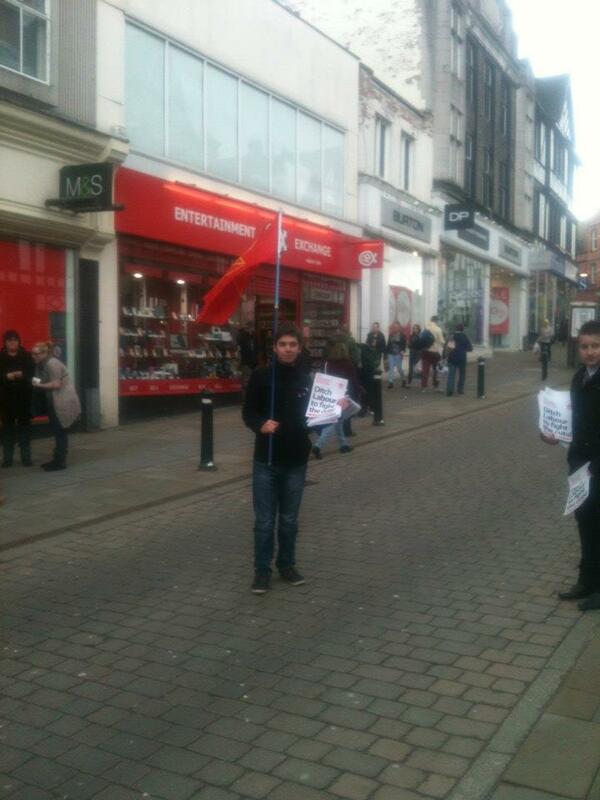 If the likes of Poundland wish to have workers they and NOT the British taxpayer should pay them! Such remarks also make irrelevant all such concepts as a minimum wage, as such a concept flies out of the window if labour can be forced from the jobless on the pain of losing their benefits and given over to mega-rich profiteering firms like Poundland! “Birmingham city council intends to cut £600m from the £1.2bn budgets under its control. More than a thousand council workers have already been made redundant, with another 1,000 to follow this year, and council leaders predict that by 2017, 7,000 jobs will have gone. More and more working people are daily being faced with the stark realities of capitalism; hunger, destitution, desperation and depression. There is only misery or struggle. Either we turn to escapism, drugs and alcohol, or we must turn and face the possibility of a brighter socialist future, but it’s a future we’re going to have to fight for. Communists and revolutionaries have a significant role to play in the coming years. We offer no well-healed jobs, easy promotions or council seats. To paraphrase the words of the Ghadar party, the British working class “need soldiers, their pay-death, the price-martyrdom, the – liberty!” In essence the working class needs honest leaders, people capable of struggle and sacrifice, men and women prepared to write a new, revolutionary and glorious chapter in the history of the British working class movement. It will not happen on its own. The fight back will not drop from the skies nor can it be instigated by the scores of pseudo-intellectuals who make up the cadre of the Trotskyist parties. The class fighters of tomorrow will be walking in and out of the jobcentres, hospitals, factories and city schools which we have all around us. It’s up to us to break the media cordon on socialist ideas, it’s up to us to put to these workers the socialist alternative and give the shining examples from international working class history, culture and achievement. It time to get proselytising comrades! 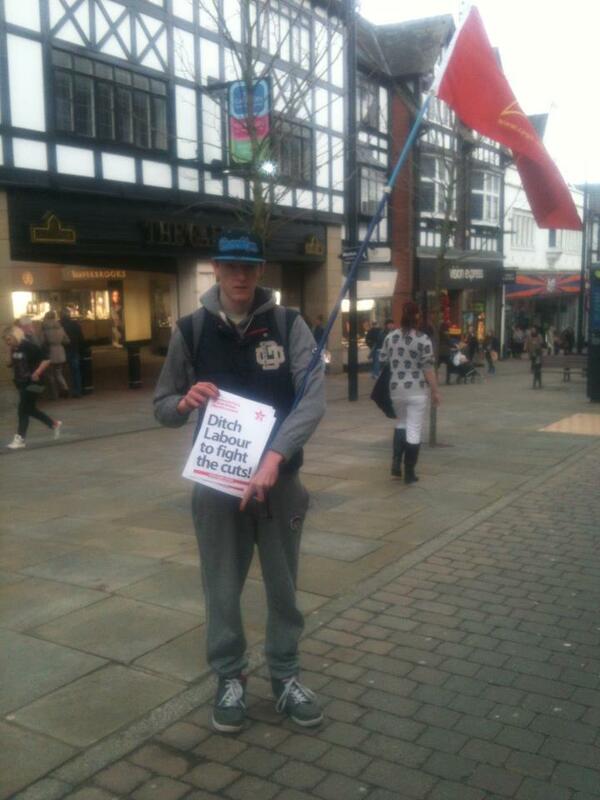 The following is a brief report written by a Red Youth activist of the recent TUSC demonstration organised in Leeds. 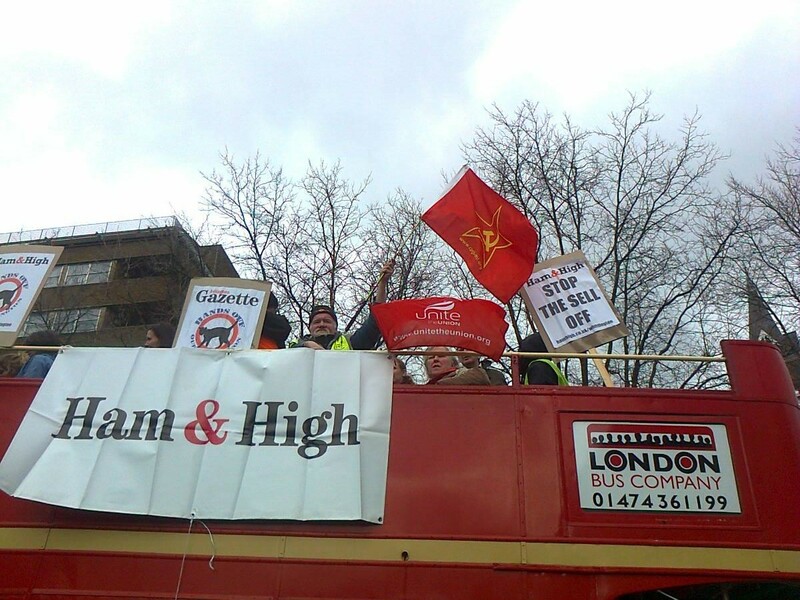 Pictures courtesy of Leeds CPGB-ML. 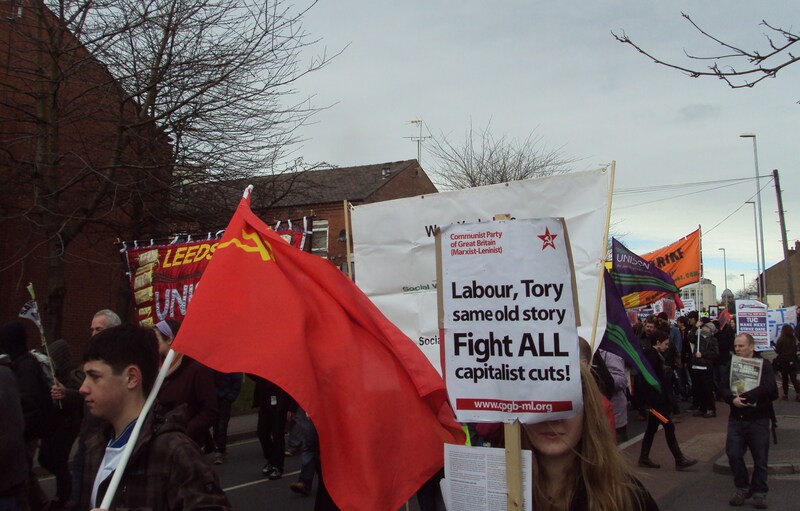 On 25 February there was a rally/march held in Leeds city centre starting at Woodhouse Moore (outside of Leeds university) and ending at Leeds city square outside of the Queen’s Hotel. 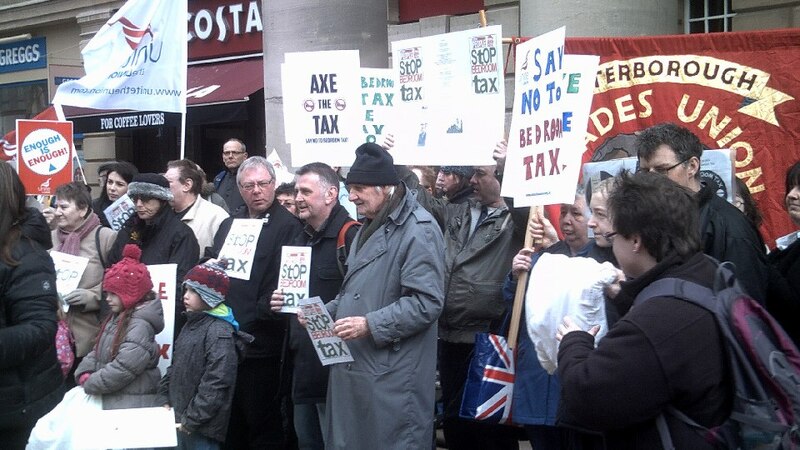 The march was called because a local government meeting was being held by the Conservative party on “the next round of savage cuts”. Eric Pickles, MP for Bradford City Central and Secretary of State for Communities and Local Government, was chairing the meeting at the Queen’s Hotel. The march/rally was organised by the Trade Unionists and Socialist Coalition who have organised and are organising protests around the country. Speeches were made by various trade-union leaders, social democrats and, of course, Trotskyites – who, despite revolutionary rhetoric, mentioned no tangible alternative to the capitalist system but instead talked at length about utopian ways of trying to make capitalism more pleasant and fixable! 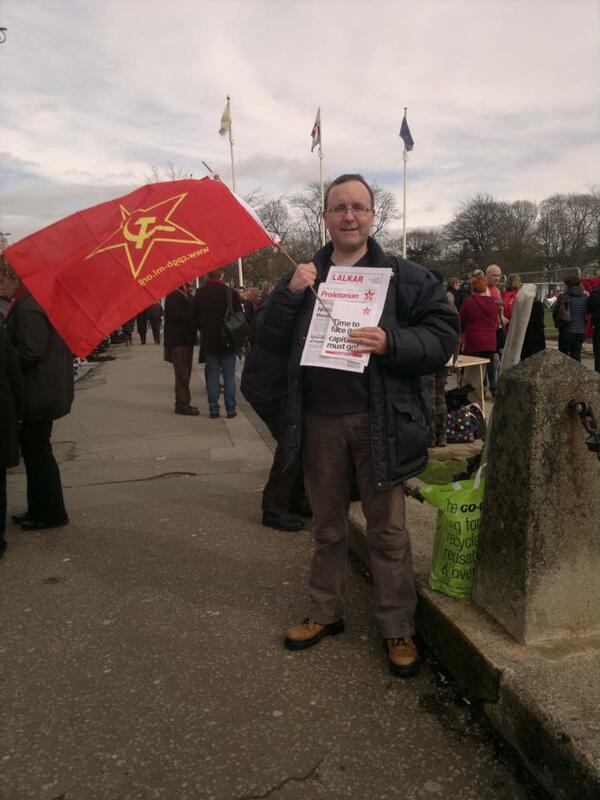 As a Red Youth and CPGB-ML member carrying a USSR flag I was asked questions from various Trots such as “Why am I so deluded into supporting the brutal, ‘Stalinist’, ‘murderous’ regime of the DPRK?” Me and a few comrades explained how north Korea is a great sovereign and independent state, which is proudly socialist and upholds the work of Stalin for his leadership of the Soviet Union, especially during socialist construction and the fight against Nazism. After about 15 minutes of talking to this young, misguided Trot, and nothing left for him to argue his pro-bourgeois propaganda position, he ran off crying. Typical. This was probably the best thing that happened all day, but also the saddest – some young people have been trained by Trotskyists to treat socialism as a religion; they are incapable of debating and it’s nearly impossible for them to alter their positions. My dad summed the argument up to a ‘t’ by saying to the Trot, “You thought you could come over here, rip us apart with your reactionary lies and think we will be a soft touch and won’t be able to argue.” Of course though, we argued and defended the heroic efforts of millions of communists to build independent, prosperous and strong socialist nations! As we marched through Leeds we leafleted thosepedestrians who weren’t marching but stood and watched the demonstration go by. The party must have handed out about 500 leaflets and we sold a few papers too. Overall, the day was a good experience for me as a young party member, seeing the working class being infiltrated by tonnes of Trotskyist parties and the strangling of the working-class resistance by them and their social-democratic mates in the Labour party. But we stood our ground and we were untouchable – just like a strong revolutionary vanguard party should be. The Yorkshire Branch is growing, comrades, and soon we hope to lead the workers in a proper direction – towards socialism! 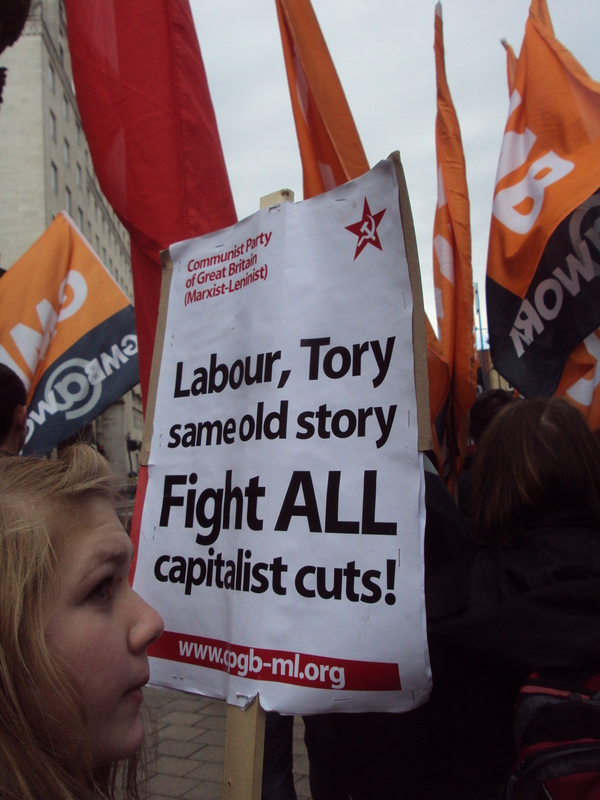 Labour, Tory, same old story; fight all capitalist cuts!